thisbis a high point in Sweden today: Midsummer. This is my tenth time celebrating it and I’m still not sure about how it will be. This year, we are having friends and their kids for lunch at our place. The weather is typical for midsummer: rain and 12 degrees. I planned some traditional things on the menu but a rostbiff will also be eaten. 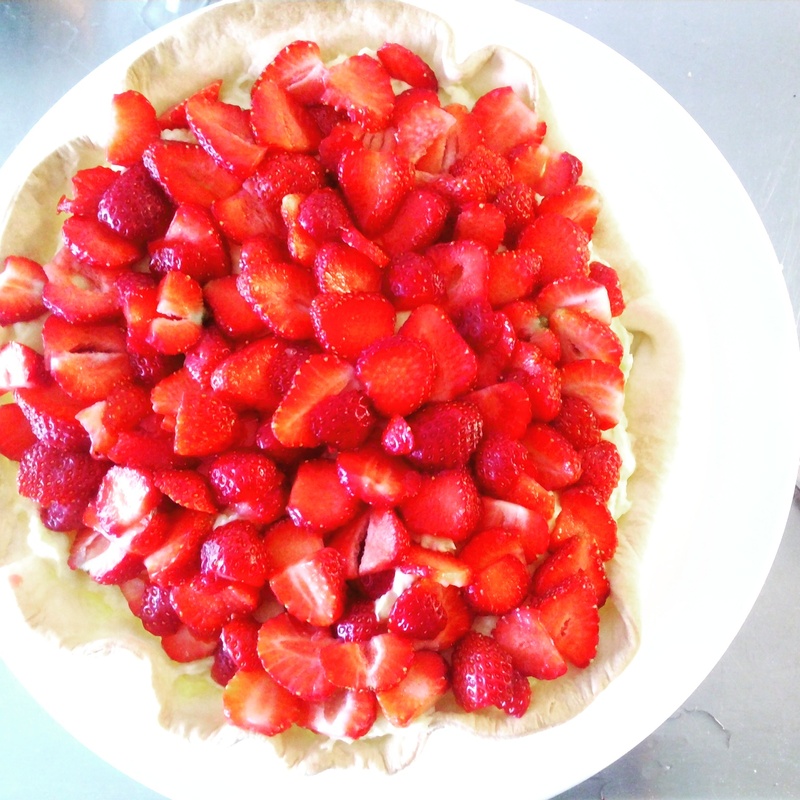 And as a dessert, I tried to make a strawberries pie. Everything tastes good but the look is something different: look by yourself!